Bayit Yehudi chairman Naftali Bennett emphasizes that his party would be committed to all sectors of Israel society in the new government. A day after the coalition agreements were finally signed, paving the way to the formation of a new government, Bayit Yehudi chairman Naftali Bennett emphasized on Saturday night that his party would be committed to all sectors of Israel society in the new government. Speaking at an event in Jerusalem organized by the Makor Rishon newspaper, Bennett said the members of the party are obligated to the entire Israeli public. “Are we going to get up every morning and think about all the people of Israel, or are we going to think only about how to take care of our own sector? We are at intersections that go far beyond any sector. We will reduce the cost of housing and the cost of living and create a revolution in religious services, and not only for religious people," he said. Bennett said that the seats achieved by Bayit Yehudi came from votes by Israelis from all sectors of society, and not only from religious Zionism, “and that’s just one reason why we are committed to all of Israel. Those who think that now we have to worry only about the religious Zionists - this is not our main goal," he clarified. 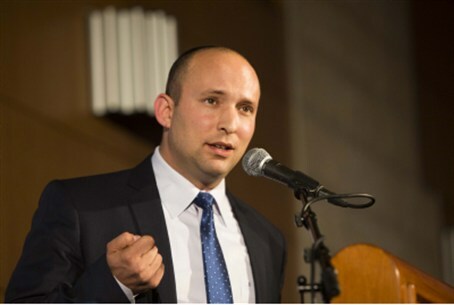 "We will strengthen the Torah world, we will be concerned for our brothers the haredim, even if they are not in the government, there's an historic opportunity here," said Bennett, adding that the prime minister's success is the success of all of Israel. Earlier Saturday, the intended Justice Minister, Tzipi Livni, attacked the partnership between Bennett and Yesh Atid head MK Yair Lapid. "The disagreements between me and the Bayit Yehudi are very deep," Livni told Channel 10. "Regrettably, the pact between Lapid and Bennett inserted those elements into the government." "I hope that on the diplomatic subjects, Lapid won't adopt Bennett's views," she added. "I expect that in this government, at least on diplomatic matters, we will receive support from Bayit Yehudi and the pact will not lead to substantive issues being blocked. It is not going to be easy; I am going to fight. There are subjects on which, at least as far as I understand, they are not of the same mind." Also on Saturday evening, Prime Minister Binyamin Netanyahu met with President Shimon Peres and told him that he has succeeded in putting together a governing coalition. "You assigned the task to me, and I carried it out. We stand before a decisive year in security, the economy and attempts to advance peace, as well as the will of Israeli citizens to effect change. In this government, there is cooperation," Netanyahu told Peres. "I believe that we will be able to bring a new message in all fields to all of Israel's citizens," Netanyahu said. "This is my mission and I know that it is also your prayer."